Jean Grey-Summers (née Jean Grey) is a fictional character, a superheroine in the Marvel Comics Universe. 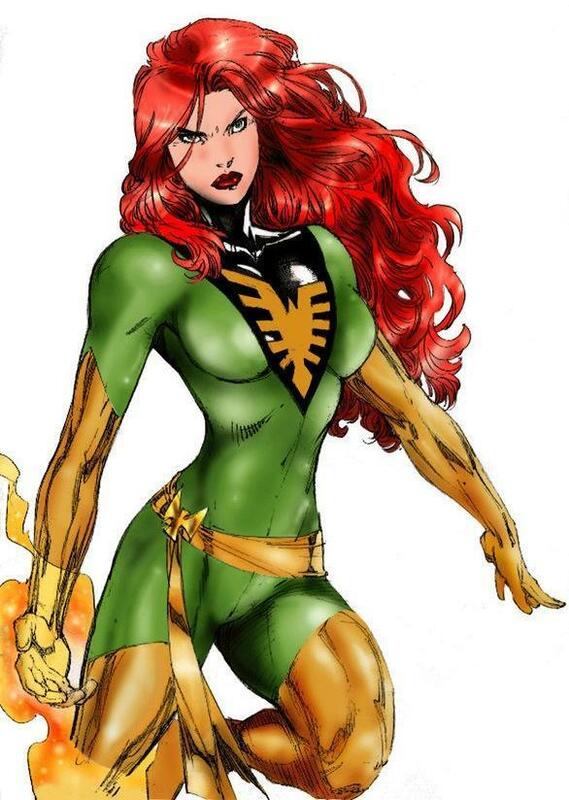 Using the codename Phoenix, Jean Grey-Summers is best known as a member of the X-Men. Created by writer Stan Lee and artist/co-writer Jack Kirby, she first appeared in X-Men #1 (September 1963). Jean Grey-Summers is a mutant born with telepathic and telekinetic powers. Her powers first manifested when she saw her childhood friend being hit by a car. She is a caring, nurturing figure, but she also must deal with being an Omega-level mutant and the physical manifestation of the cosmic Phoenix Force. She faces death several times in the history of the series, first in the classic "Dark Phoenix Saga," but due to her connection with the Phoenix Force, she, as her namesake implies, rises from death. Phoenix is an important figure in the lives of Professor X, who is like a father and mentor to her; Wolverine who is a very good friend and, at several points, a potential love interest; Storm, who is her best friend and a sister like figure; her husband Cyclops; her daughter Rachel Summers; her son X-Man; and stepson Cable. Classic X-Men #17: Mesmero Mesmerizes Jean Grey!